We have added everything we know in Pikuniku review including its release date, gameplay, story, trailer & walkthrough. 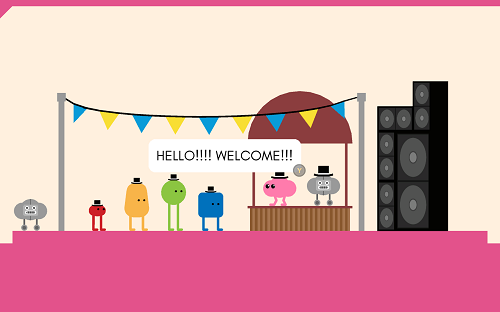 Pikuniku was released for PC & Nintendo Switch on 7 January, 2019. 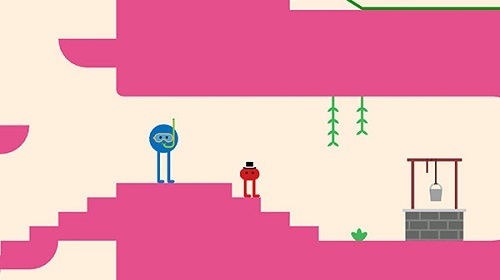 Pikuniku is a strange puzzle exploration video game set in a playful world where not everything is as happy as it looks. You can help the citizens overcome their fears & reveal a deep state conspiracy. 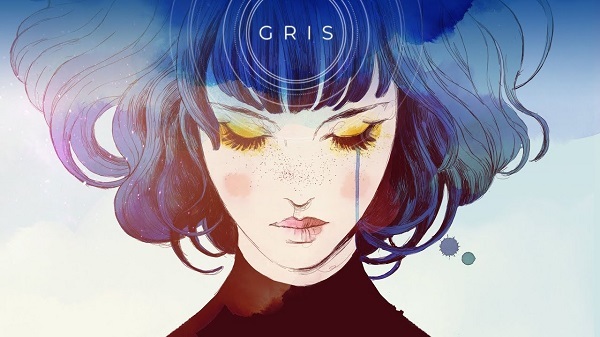 It is a vibrant adventure for everyone which allows you to explore a world at your own pace, support quirky people with their unusual requests, & solve puzzles that will challenge you for about 4 - 5 hours of gameplay. You can interact with the people during your adventure & everybody has their problems. You need to rebuild a community by supporting the worried citizens face their fears. You can play Pikuniku with your family & friends for local multiplayer fun in custom co-op levels & challenges. It is a satisfying playground where you need to think creatively, bending their perception of reality, in order to unite the upset citizens. At the beginning of your journey, the player wakes up in a cave, roused by a ghost. You are a red shape character with eyes & legs. You don’t have arms. The game seems charming & strange. It allows you to explore & solve puzzles across over a dozen stages co-operatively with your friends & family. 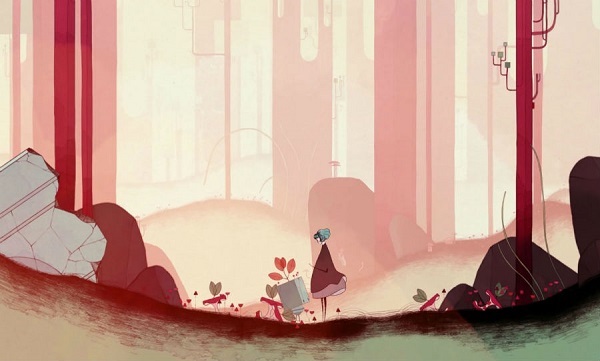 The gameplay feels fun when playing with happy music & playful sound effects. It is your objective to help the residents face their worries, take down the government & become truly happy. 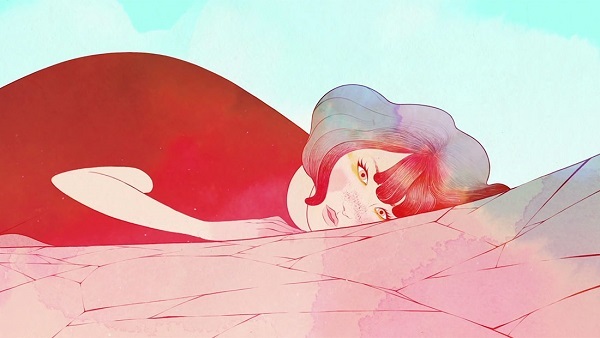 You will wake up in a forgotten place & a ghost will teach you how to escape. In your journey, you will talk & interact with other people. You will talk to the people of this odd world but others will think of you as a creature. You will get their trust by fixing a bridge. You can fix the bridge by kicking a spider to the other side of the water. Your ultimate objective is to unite the people. It is your job to solve their problems, become friends & make this world happier. Pikuniku will not run if your PC specifications are lower than minimum requirements of this game. 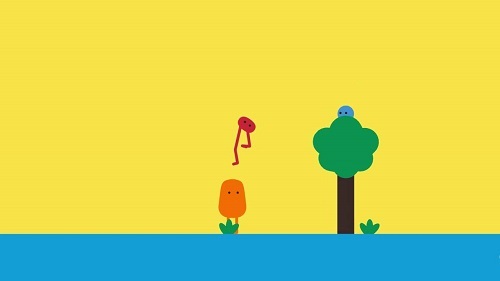 Watch Pikuniku new gameplay trailer. Check out Pikuniku official trailer. Watch Pikuniku official trailer in HD. Watch Pikuniku demo gameplay. Take a look at Pikuniku walkthrough. The latest expansion titled “The Nightmare” is released for Shadow of the Tomb Raider. Season pass owners can download The Nightmare for free. We have added everything we know in Shadow of the Tomb Raider new DLC “The Nightmare” review including its story, gameplay, release date, system requirements, trailers & playthroughs. Lara Croft begins a new adventure in The Nightmare but now she will face enemies & fallen friends from the past. Her objective is to grab a powerful weapon. You can get Shadow of the Tomb Raider new DLC “The Nightmare” on PS4, Xbox One & PC Windows now. 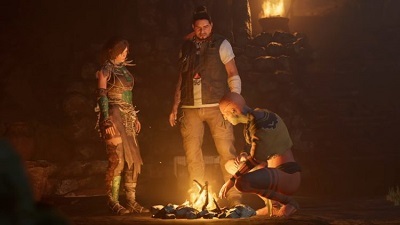 Shadow of the Tomb Raider earlier DLC, The Forge, was released in November, 2018 & now the third expansion of the game is released. Those who bought the season pass earlier will get The Nightmare expansion for free, & also they can get the previous expansions for free. The Nightmare expansion costs $5 USD standalone. Lara will face a new challenge tomb “Howl of the Monkey Gods” that will grant her a powerful weapon when she finishes it. 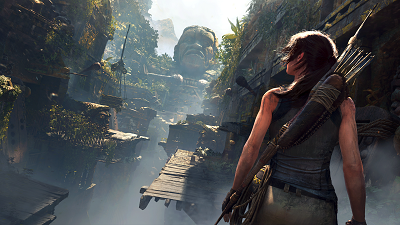 Lara will face the music in a new challenge tomb. You can fight enemies that are not like the ones she has ever faced, & face the deadliest rival of all: herself. The Nightmare is the third path & in total seven paths of Shadow of the Tomb Raider will be launching. If you have already bought the season pass, then you can get each path for free. Each path will contain a challenge tomb, story side missions, weapons, abilities, & suits. You will face familiar opponents & fallen friends in The Nightmare. You can play the expansion either in single player or in co-op. New customization options are available in the expansion. The Scales of Q suits sports a thick hide & solid bones which offer twice as much resistance to melee attacks. The Grip of Axe helps Lara in climbing as well as fighting. It has the ability of knocking foes down for longer periods. White Breath is a new ability that Lara can use which can be fired, making a cloud of hallucinogenic vapor on impact. This can poison foes & cause them to battle each other. The Nightmare will not run on your PC if your system requirements are lower than minimum requirements of this game. For best performance make sure your system requirements are equal or higher than The Nightmare's recommended requirements. Watch Shadow of the Tomb Raider - The Nightmare DLC trailer. Take a look at Shadow of the Tomb Raider - The Nightmare expansion release trailer. Watch Shadow of the Tomb Raider "The Nightmare" gameplay walkthrough. Check out The Nightmare playthrough in HD. Watch Shadow of The Tomb Raider - The Nightmare gameplay playthrough. Take a look at The Nighmare gameplay movie with no commentary. We have added everything we know in Super Treasure Arena review including its features, gameplay, multiplayer, modes, release date, trailer, walkthrough & more. 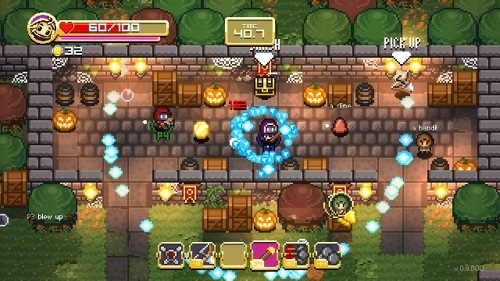 Super Treasure Arena allows up to four gamers to play locally or online. You need to steal coins from your rivals & gather them in order to win. You can play locally using split screen with your buddies, or challenge other games online. You can select one from five characters’ classes: Rogue, Mystic, Mage, Ninja & Warrior. Most of the characters’ classes play likewise, but they have different abilities for example Warriors can become invulnerable for a short time. If you master the abilities & know when to execute them then they will help you out in your strategy for success. 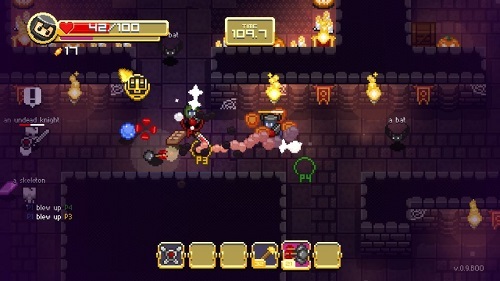 Select your hero & fight on top down maps, filled with hostile creatures & precious loot. You can collect weapons scattered across each map & it will help you in killing your enemies. The weapons include bows, magic staffs, rockets, bombs & more. Gather coins from creatures & treasure chests scattered throughout the map, as well as beating the coins out of your enemies. Stay alive while carrying loot filled treasure chests back to your base. Super Treasure Arena will not run if your PC specifications are lower than minimum requirements of this game. For optimum performance make sure your PC specifications are equal or higher than Super Treasure Arena's recommended requirements. Watch Super Treasure Arena gameplay trailer. Check out Super Treasure Arena official trailer. Watch Super Treasure Arena gameplay walkthrough. Have a look at Super Treasure Arena PC playthrough. We have added concrete information about Super Animal Royale including its review, gameplay, features, early access, alpha, founder edition, platforms, PC specifications & you can find more information in this article. Super Animal Royale is a strategic, top down multiplayer survival shooter. The game features a battle royale mode which allows 64 cruel Super animals. You can choose an animal from a roster of pandas, foxes, cats & murderous creatures. Then you can parachute into the ruins of a safari park & you must survive till the end while killing other animals. New animals will be available in the upcoming updates. You can customize the costumes of your animals, as well as their weapons, dance moves, & more stuff. You can cut tall grass & loot empty buildings in order to find weapons (firearms) & juice (to replenish your health). You must protect yourself from harmful gas. It is a run & gun game combined with an intuitive fog of war system that restricts gamer’s view to line of sight which offers strategic & sneaky play. 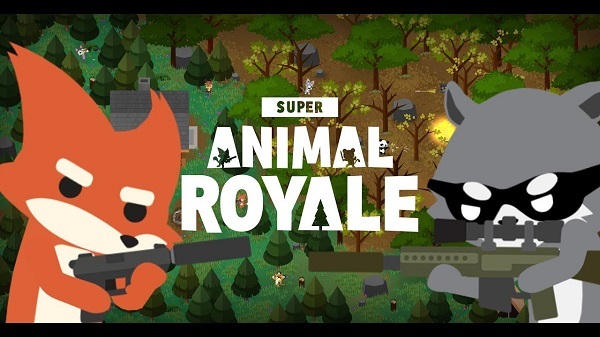 You can pre-order Super Animal Royale for $15 to get Steam Early Access which is out now. You can also play free Alpha by signing up at the official website. You can play Super Animal Royale on PC Windows & Mac via Steam Early Access. You cannot play Super Animal Royale offline right now so you need an internet connection to access this game. You cannot play Super Animal Royale unless you meet its minimum specifications. Watch Super Animal Royale gameplay trailer. Check out Super Animal Royale official trailer for PC & Mac. Watch Super Animal Royale gameplay walkthrough. Check out Super Animal Royale playthrough. A new trailer is uploaded for the remake version of The Eternal Castle. It was originally launched in 1987 but we have scarce details about that version. The Eternal Castle was supposedly launched for the 486 PC, but Intel did not begin producing the 80486 microprocessor until 1989. A latest announcement let us know that The Eternal Castle is an attempt to modernize an old classic to keep its memory alive. 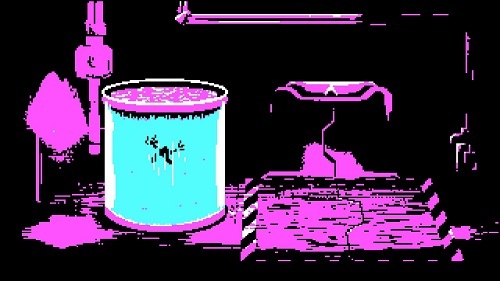 The team behind the making of The Eternal Castle has spent much time to expand the experience while keeping the same feel & flow of the 1987 game. We have added everything we know in The Eternal Castle review including its story, gameplay, features & release date, & you can enjoy watching its trailers & walkthroughs. 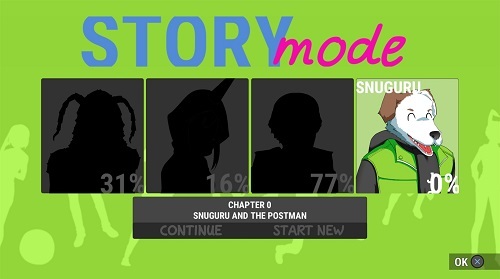 You are sent into a strange planet & you are forced to choose your character. Based upon your decision, you are ready to control your protagonist & your adventure begins. The game environment will soon become hostile. You can play twenty levels across five unique planets, each will let you beat a boss. You can equip ten different weapons & you can unlock ten different skills. The Eternal Castel remastered is a platform video game & it is focused on trial & error. 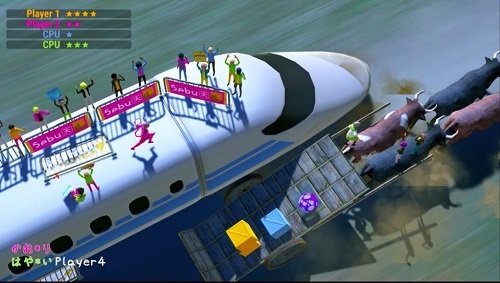 Early on in the gameplay you will be puzzled by a vehicle suspended in the air using a rope. Rolling into a contraption beneath it causes the car to fall, & results in your death. You don’t need to mess with stuff in this game unless there is no other option. We know that The Eternal Castle will send you on a powerful adventure filled with threats & challenges through quick paced melee action, calibrated ranged attacks & you can also use careful stealth approaches. The remake of The Eternal Castle is rendered with only 4 colors. The Eternal Castle Remake was launched on 5 January, 2019 for Mac & PC Windows. The Eternal Castle Remastered will not run if your PC specifications are lower than minimum requirements of this game. For best performance make sure your PC specifications are equal or higher than The Eternal Castle Remastered recommended requirements. Watch The Eternal Castle Remake official trailer. Watch The Eternal Castle Remake gameplay walkthrough part 1. 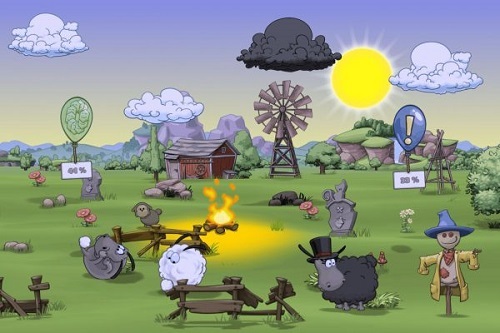 Clouds & Sheep 2 is the second game in the series where your objective is to help a flock of sheep live happily. When you play Clouds & Sheep 2 for the first time you will see only one sheep but then you will get some more sheep. We have added everything we know in Clouds & Sheep 2 review including its gameplay, features, release date, trailer & walkthrough. Solve numerous missions & fulfill your sheep requirements. You can plant grass, flowers, trees & shear your sheep’s different colored wool. 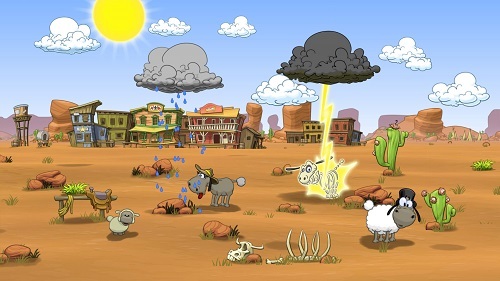 You can control the clouds & make it rain to make sure your sheep never run out of water. If sheep are happy, they will bring little lambs into the game world. Every animal needs care. Your sheep will need entertainment too. Make your sheep jump & use toys to play with them. Watch them interact with each other & see their responses to the items your offer them. You can interact with the stuff you see on your screen. You can move your sheep from one place to another by picking them up with your fingertips. You can add different items to the farm. You must keep your sheep healthy & protect them which is not simple. If your sheep gets wet during a storm, you need to dry it using hot towels. If your sheep is in the sun for long, you need to put ice on it. When you finish quests & take care of your sheep, you will receive stars, & you can use those stars to buy different items for customization. Clouds & Sheep 2 is a very easy game because the game offers simple challenges. The game is still fun & entertaining, & everybody can enjoy it. Play this game for free but you can buy different objects using in-app purchases. If you do not like to use in-app purchases, you can simply deactivate them in your device settings. 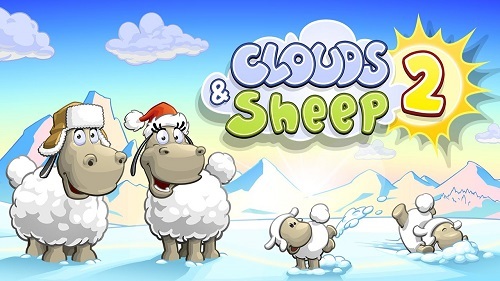 Clouds & Sheep 2 will not run if your PC specifications are lower than minimum requirements of this game. Watch Clouds & Sheep 2 PS4 trailer. Watch Clouds & Sheep 2 official trailer for Android & iOS. Watch Clouds & Sheep 2 gameplay trailer. Watch Clouds & Sheep 2 gameplay walkthrough level 2. 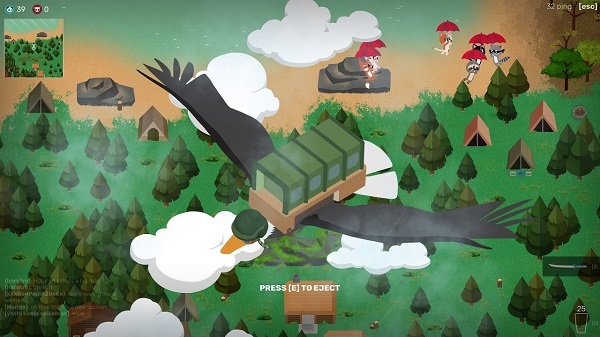 Watch Clouds & Sheep 2 gameplay playthrough on Xbox One. Get yourself ready for a final marathon of Nippon in a crazy, physics-driven, 4 player party racer where anything can happen. Stay at the front to claim victory but it is difficult because you must save yourself from obstacles that comes in your way. 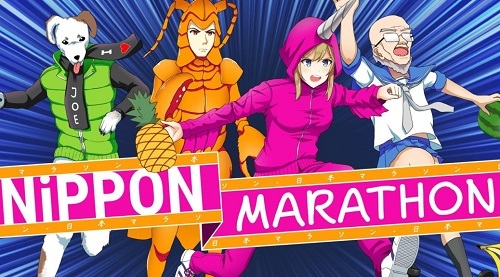 We have added everything we know in Nippon Marathon review including its gameplay, release date, PC requirements, trailer, walkthrough, & you can find more information about Nippon Marathon in this review. Nippon Marathon is a multiplayer racer which allows you to run through various Japanese locations, while avoiding obstacles & dangers. Those moving slowly will be knocked out & only one player will remain & player will get a star. The player with most stars at the conclusion of the race will be victorious & the next race will be opened for the player. 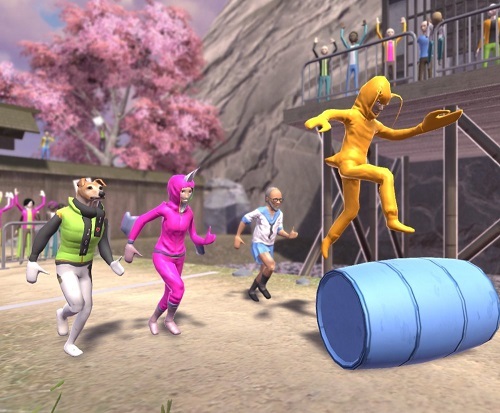 Be prepared for an ultimate marathon of Japan in a crazy 4 player party racer. You can avoid obstacles & dive out of the paths of bicycles. You can damage your rivals by throwing fruits at them. 4 players can play Nippon Marathon but you can also play it as a single player. You can find yourself running through a busy train station & there are hundreds of salary men & obstacles. You can see a screenshot (below) of Nippon Marathon’s seventh level where runners need to jump from bullet train to bull train. Nippon Marathon offers simple controls but it is important to know that you might make mistakes in first hour of gameplay. Your first few races would be dominated by mistimed jumps & you might not save yourself from the obstacles. You can collect fruits that you can eat for a speed boost or you can use them to trouble other racers. For example, you can use a pineapple balloon to extend your jump. You can enjoy the races & it will definitely make you laugh but the frantic gameplay feels very clumsy & disjointed to remain fun for too long. Stay at the front of the other racers to make your opponents disappear at the end of the screen & you will get starts. The race will then reset to the final checkpoint until the finish line where the racer with the most stars’ win. During my first hour of gameplay I fell off a clip, & was attacked by a group of shiba inus. Nippon Marathon will not run if your PC specifications are lower than minimum requirements of this game. For best performance make sure your PC specifications are equal or higher than Nippon Marathon's recommended requirements. Watch Nippon Marathon trailer (Nintendo Switch). Watch Nippon Marathon gameplay trailer. Watch Nippon Marathon gameplay walkthrough. Pillars of Eternity 2: Deadfire – The Forgotten Sanctum is a role-playing video game developed & published by Obsidian Entertainment. 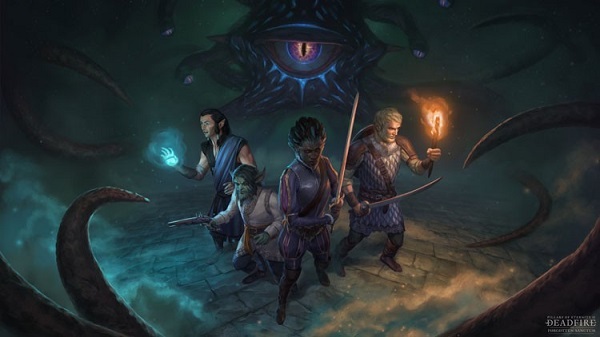 The final paid Pillars of Eternity 2: Deadfire expansion was released on 13 December, 2018 for $10. The 4.0 update patch for the game is also available which brings a lot of new features, extra God Challenges, & 2 new Mega Bosses for Watchers & their crew to fight against. We have added everything we have in Pillars of Eternity 2: Deadfire – The Forgotten Sanctum review including its story, gameplay, features, release date, PC requirements, trailers, walkthroughs & you can find more stuff in The Forgotten Sanctum review. The Forgotten Sanctum will test the team’s allegiance & morality in a mission to aid the great wizards of Eora. Will you befriend, deceive or befuddle these wizards as you reveal the ancient secrets? Whatever decision you make will affect your progress. 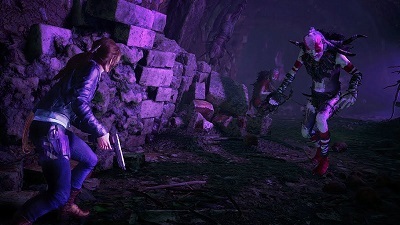 The DLC follows the disappearance of the mage called Maura. It offers a new dungeon to explore, new adventure to experience, & it allows you to reveal the secrets. The latest Pillars of Eternity 2: Deadfire is out now & provides a host of new features which includes respawning ships on the world map, extra God Challenges, a new sub class for each class, & 2 new Mega Bosses to fight against. The Forgotten Sanctum is the last DLC of Pillars of Eternity 2 preceded by the “Beast of Winter” & “Seeker, Slayer, Survivor” expansion packs, all of which have added considerable content to the base game. Your mission in The Forgotten Sanctum is to reveal the secrets lost to the generations. You can accomplish this task in 2 ways: either you aid the most powerful mages of Eora or fight against them. The game features new main missions & side missions. The Forgotten Sanctum is not a standalone DLC, so it needs the base game in order to play. With fresh missions & a big dungeon to discover, the DLC awaits those courageous enough to enter. 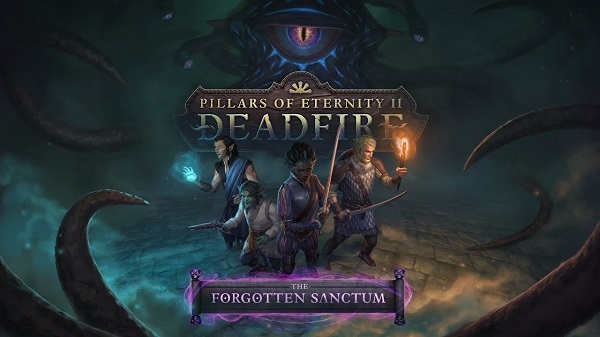 The Forgotten Sanctum is the third DLC for Pillars of Eternity 2: Deadfire, launched on 13 December, 2018. Watch Pillars of Eternity 2: Deadfire - The Forgotten Sanctum launch trailer. Check out The Forgotten Sanctum release date trailer. Watch Pillars of Eternity 2: Deadfire - The Forgotten Sanctum launch day stream. 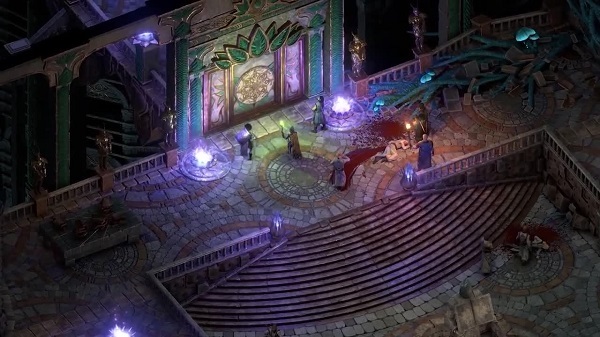 Check out Pillars of Eternity 2: Deadfire - The Forgotten Sanctum gameplay walkthrough. We have added concrete information about Insurgency: Sandstorm including its review, gameplay, game modes, online game modes, co-op game modes, release date, PC requirements, trailers, walkthroughs & you can find more information in our article. 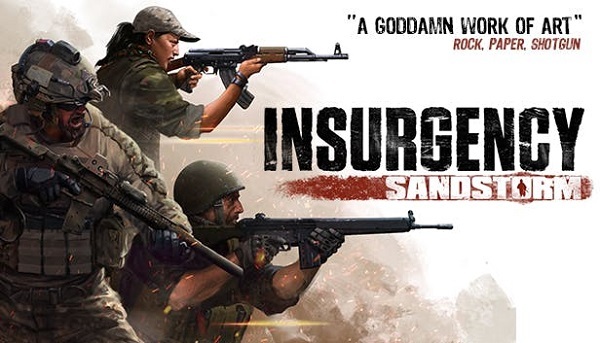 Insurgency: Sandstorm is a multiplayer first person shooter game developed & published by New World Interactive. 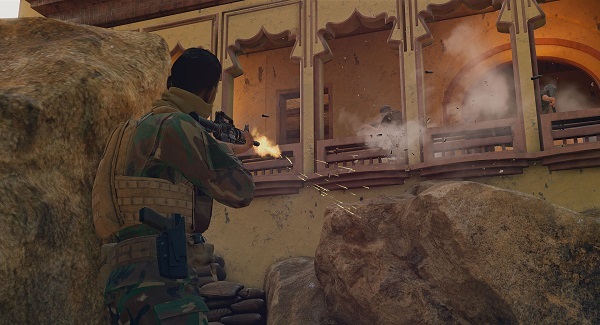 Insurgency: Sandstorm was revealed in February 2016 through an official announcement & the game was released on 12 December, 2018 on Xbox One, PS4 & PC. It is a sequel to 2014 Insurgency. The game features a basic HUD which lacks a health bar, ammunition count & mini map. It offers intense gameplay, with extremely deadly weapons. You can select the classes & weaponry at the start of a match. Gamers can join one of two teams. The teams are called Insurgents & Security. You can play a total of 3 online game modes & 1 co-op mode. The team that is attacking needs to capture 3 or 4 territorial objectives in sequential order. 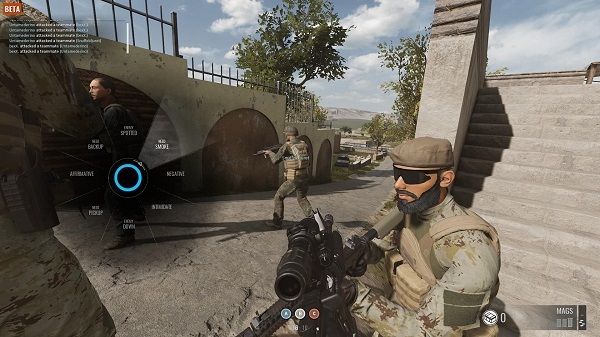 When attackers capture an objective, more reinforcement will be available for their help & they will be allotted more time to capture the next objective. The defenders need to save the objectives from the attackers. If attackers are successful in capturing all 3 or 4 objectives, they need to destroy the cache. At this point, defenders have just one life to keep away the attackers. The match will terminate if either team runs out of reinforcements & players or time. Both teams must fight to capture all 3 territorial objectives. Each gamer has just 1 life & they can only respawn after their team has captured an objective. The team achieves victory if either they kill all of the opponents or they capture all 3 objectives. Skirmish mode also allow you to capture 3 territorial objectives like Firefight. Each team has to save the cache. If the caches of both teams are destroyed, the game can still be played but it will be like Firefight. In order to win, the cache must be destroyed & all 3 objectives must be captured. Gamers can make a single team & they need to complete mission based objectives against AI. If their team is successful to complete an objective, they it will offer fallen gamers another life. Insurgency: Sandstorms will not run if your PC specifications are lower than minimum requirements of this game. For optimum performance, make sure your PC specifications are equal or higher than Insurgency: Sandstorm's recommended requirements. Watch Insurgency: Sandstorm teaser trailer. Check out Insurgency: Sandstorm announcement trailer. Watch Insurgency: Sandstorm Gamescom trailer. Watch Insurgency: Sandstorm gameplay trailer. Check out Insurgency: Sandstorm E3 2017 trailer. Watch Insurgency: Sandstorm gameplay walkthrough in HD. Check out Insurgency: Sandstorm intense & brutal mission walkthrough. Watch Insurgency: Sandstorm map crossing playthrough. Check out Insurgency Sandstorm gameplay playthrough.